WASHINGTON -- Takata Corp. is set to plead guilty Feb. 27 in federal court in Detroit to a single felony count of wire fraud to resolve a U.S. Justice Department investigation into ruptures of its airbag inflators linked to at least 16 deaths worldwide, according to a court filing Tuesday. 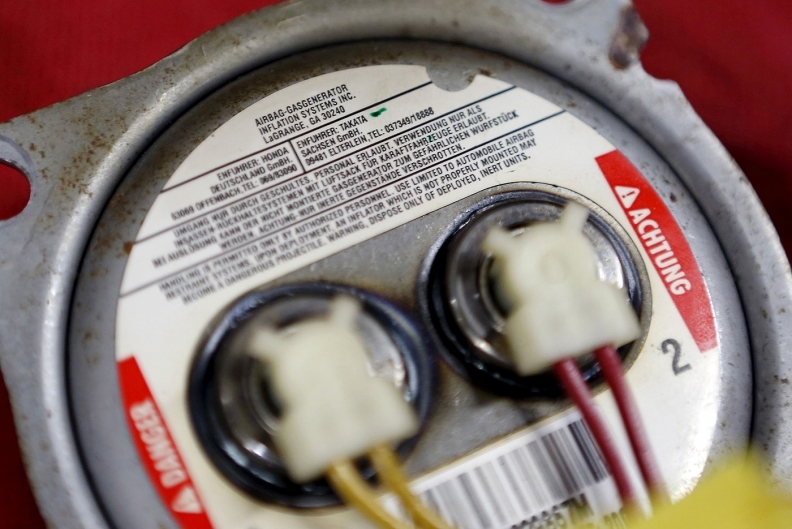 The auto parts supplier agreed last month to the guilty plea as part of a $1 billion settlement in the world's largest ever recall. U.S. prosecutors also charged three former senior Takata executives in Japan with falsifying test results to conceal the inflator defect linked the recall of about 100 million airbag inflators worldwide. Takata has agreed to pay a $25 million fine, $125 million in a victim compensation fund, including for future incidents, and $850 million to compensate automakers for massive recall costs, the Justice Department said. The supplier will be required to make significant reforms and be on probation and under the oversight of an independent monitor for three years. Last month, three senior Takata executives in the United States left the company, including Kevin Kennedy, who was president of Takata North America. Kennedy confirmed his departure in a posting on the employment networking website LinkedIn but did not return emails. Reuters reported Monday that Key Safety Systems Inc. has been selected to lead its turnaround, fanning concern that a court-led restructuring was on the cards. The Nikkei business daily, which first reported the news of KSS's selection, said automakers would support the pick on condition Takata pursue a court-mediated turnaround in both Japan and the United States, a move that could wipe out shareholders' equity. In a statement late on Saturday, Takata denied that it had selected KSS as its sponsor or a court-led restructuring as the way forward.